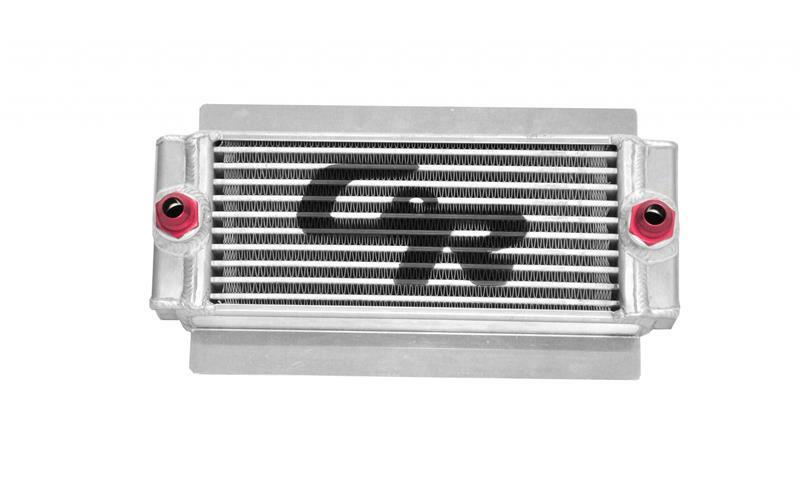 41-20000 - C&R Racing Air to Engine Oil Cooler - Dezod Motorsports Inc - Home of the automotive performance enthusiast since 2002. C&R’s External Heat Exchangers offer an option to having the heat exchanger in the tank of the radiators. Oftentimes packaging doesn’t allow, so this design gives the ability to place for convenience of plumbing and out of harm’s way. 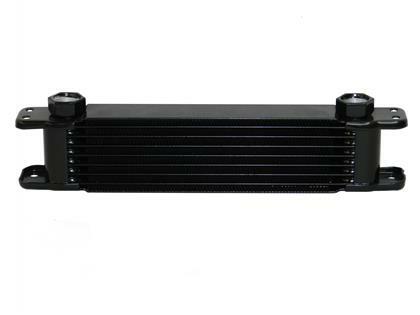 These units are commonly found in sports cars, off-road, and high-performance street rod installation. The addition of “plates in the stack” increases the oil cooling. The heat exchanger is typically plumbed in-line between the rad and the pump to cool the oil with the coldest water in the system. While custom water plumbing connections are available, we stock 10, 13, 18, and 22 plate with 1¾” water in and out and 13 plate with 1½” in and out. We supply the oil line connections with -12AN adapters that can be removed should you require a reducer expander.